Nothing better when it's cold outside than a hot soup. 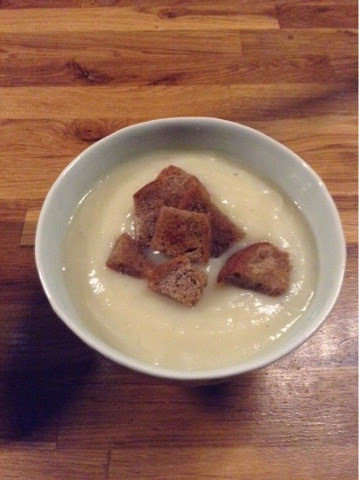 Tonight a cauliflower soup with some rye bread croutons. Simple, easy and delicious. Just boiled the cauliflower and blend it, then cut the bread in cubes and fry then in a little of oil. Salt, pepper, over.